The Buena Vista Christmas Opening is a wonderful holiday tradition that unites small businesses, visitors and residents to join together to share in the holiday spirit and the true essence of community. 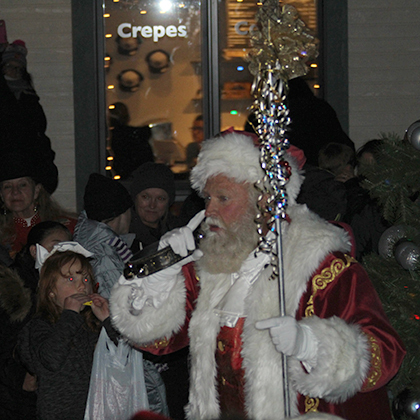 Celebrate with us by joining in the: Chocolate Walk, Festival of Trees, Free Movie “The Star,” Chili Cook Off, Free Santa visits and photos (we are pretty sure he is “the real” Santa – see pictures below), Chaffee Arts in the Loft Show & Sale, Local Craft Fair, Caroling throughout town, The Polar Plunge (the Annual Arkansas River Dip), Lighting of the Surf Hotel and Community Trees, Parade of Lights and much more. Please visit us often for new event updates as we approach this joyous holiday season. Merry Christmas, Happy Hanukkah, Happy Kwanzaa, and Happy Holidays to you and yours. A fun and delicious tour. 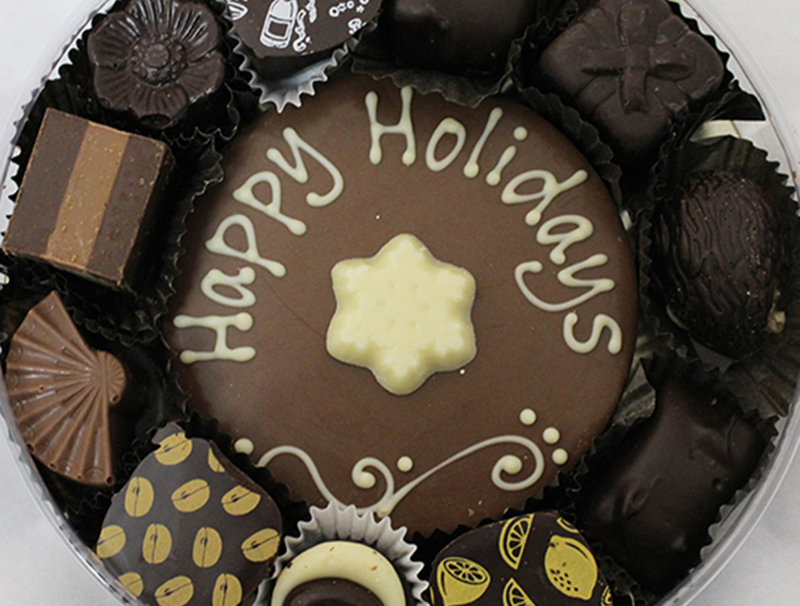 Pick up your playing card at the BV Community Center Dec. 1, visit locale merchants and see their amazing holiday products and services, taste exquisite chocolates and get your card stamped. Win prizes and gift certificates. See details below! Visit Santa & Get Free Photos for your family. Sponsored by Coldwell Banker/Collegiate Peaks Realty. Santa looks real from Harmony Workshops. Photos provided by Catherine Eichel Photography will be emailed or texted to your phone. 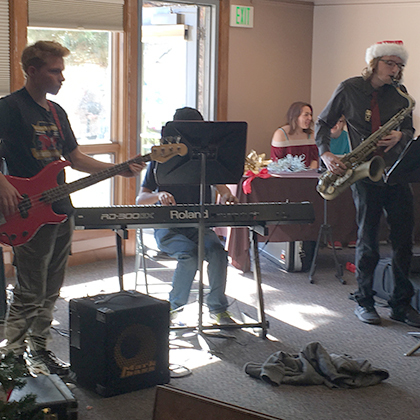 Also FREE crafts, music, festival of trees and much more all at the BV Community Center. 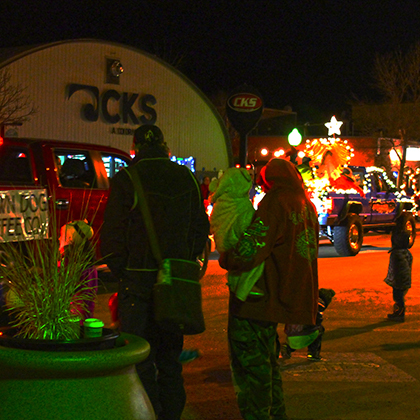 Parade of Lights – Attendees become part of the parade: join the end of the Parade of Lights and/or meet /merge the parade at the Community Tree for lighting (Splash Park). 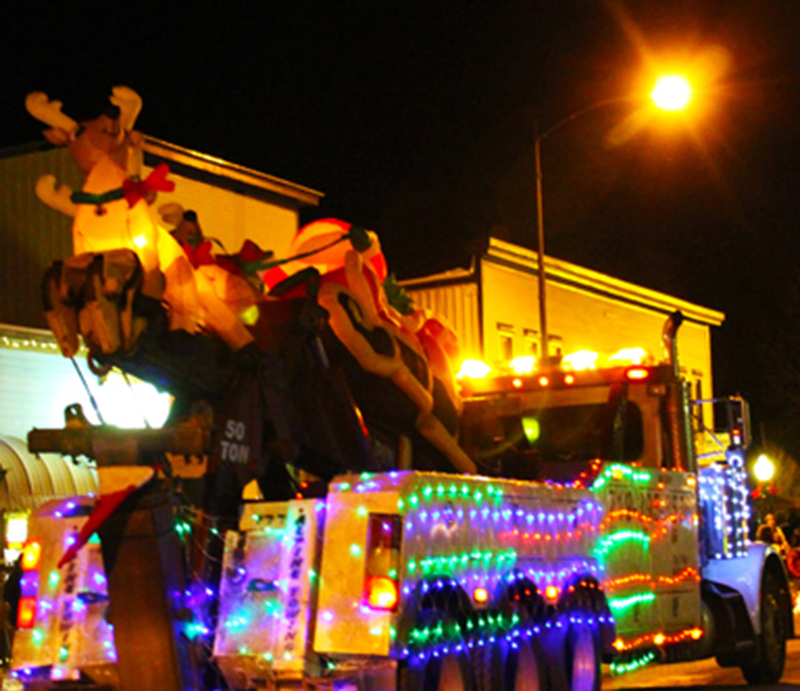 All are welcome to be in the parade, including horses and carriages, meet at South Main parking lot & sign a waiver. Noted below is the 2018 Schedule. The 2019 Schedule will be updated as we get closer to the 2019 Holiday Season. Pick up your playing card for $1.00 at the BV Community Center on Dec. 1. Enjoy visiting participating local businesses. 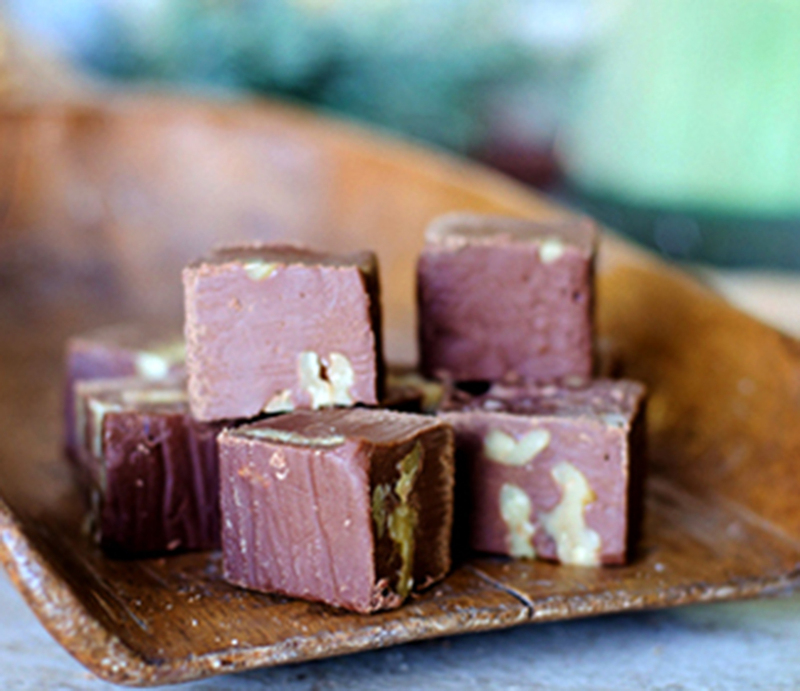 Savor their chocolate treats and see their offerings. WIN many prizes for completing your playing card (drawn on Dec. 3). 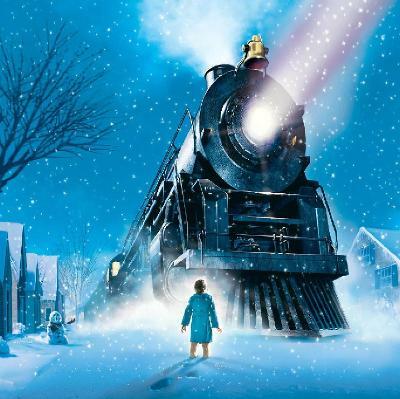 Prizes include a $75.00 Golden Ticket sponsored by Mary Kale of Re/Max, a $70.00 Mt. Princeton Hot Springs Pass, and Rustic Woods $25.00 gift certificate and more! This year some Chocolate Walk stores are participating on Sunday too – thus increasing your chances to fill out your playing card for the drawing on Monday, Dec. 3. Discounted punch passes for Mt. 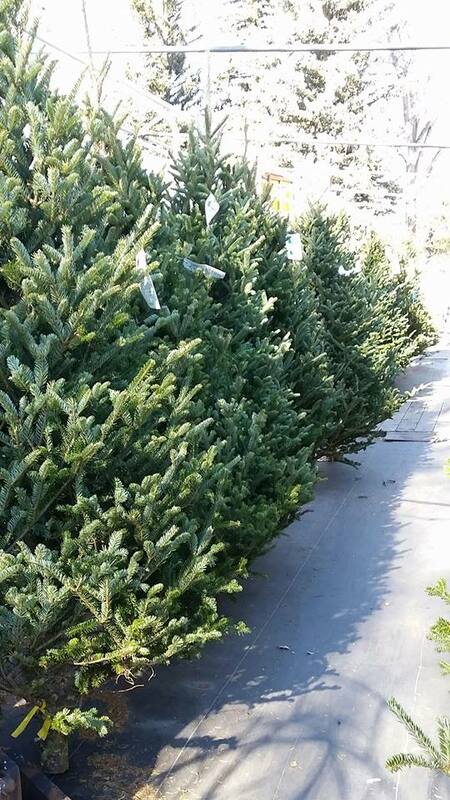 Princeton Hot Springs will be for sale at the WEST Entrance of the BV Community Center 715 E. Main St.
Tour local business and non-profit organizations sponsored trees, get coupons and special offers on the trees. The trees surround Santa and add a festive holiday spirit. 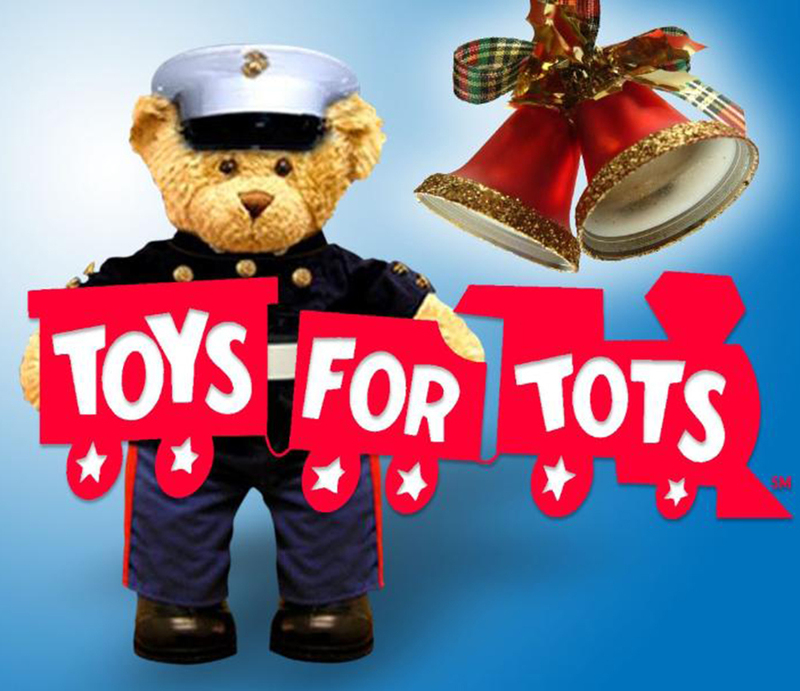 Held at the BV Community Center 715 E. Main St.
You can contribute to your local Toys for Tots campaign by donating a toy at the surf Hotel drop location. Held at The Surf Hotel – 1012 Front Loop, South Main St.
New this year and with great anticipation Chaffee Arts will showcase a assortment of local artists works. Offering a true taste of our art culture and opportunities to purchase holiday gifts. Held at The Loft Orpheum Theater – 413 E. Main Street. 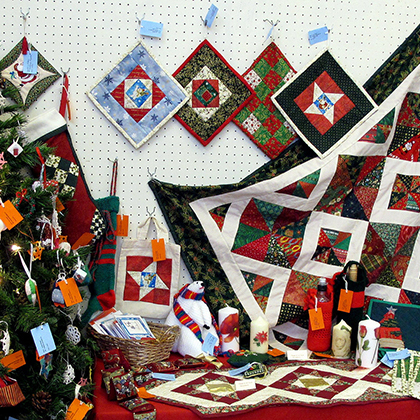 Visit the Holiday Craft Fair what a fun environment to showcase local works and trades. Tis the season of giving. Held at The Loft Orpheum Theater – 413 E. Main Street. The Loft is also a Chocolate Walk stop so you can savor a sweet and tour the fair. 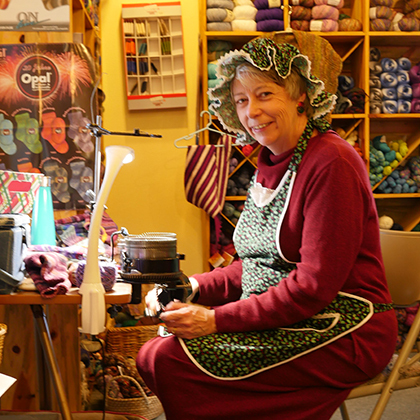 Join Mrs. Claus as she makes Christmas socks on her knitting machine at Serendipity Yarn & Gifts. She will share tips and tricks and give one and all a heartwarming welcome. Held at Serendipity Yarn & Gifts – 321 West Main St. The Forest Service will be selling Christmas Tree Permits at the BV Community Center 715 E. Main St.
More info coming soon! 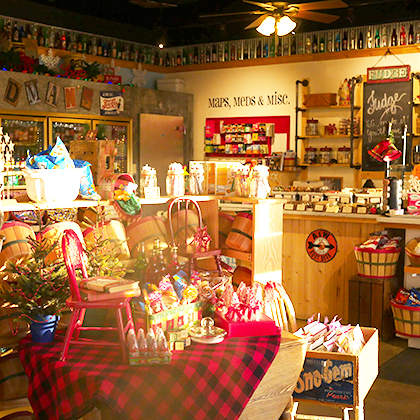 Held at Watershed – 410 E Main St.
Stedman’s is full of delicious local sweets and specialty food and beverages. Come and sample popcorn, fudge, and sweets. Register for prizes, see their stocking stuffers, gift baskets and more. Held at Stedman’s (inside the Shell Station) – 227 US Hwy 24S. Both locations also offer more than just Christmas Trees to enhance your holiday decorations! 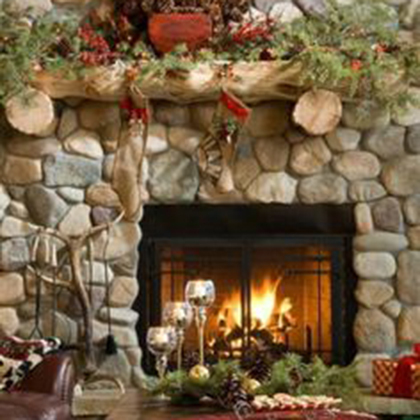 Stop in at the Buena Vista Public Library and take a warm and joyous photo of your family & friends in front of their holiday decorated local stone fireplace. 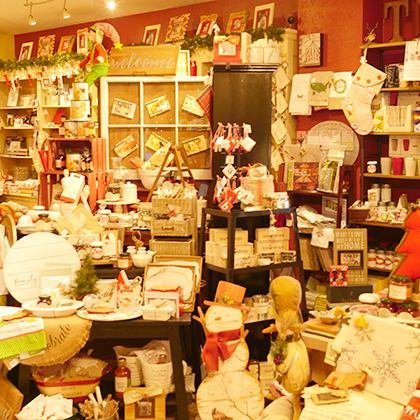 Plus, get a stamp on your Chocolate Walk playing card and share in holiday cheer. This is also a hayride shuttle stop. Held at BV Public Library 131 Linderman Ave. Enjoy ornament decorating, graham cracker houses, cookie decorating and game room activities with host Boys & Girls Club. A complimentary Hayride Shuttle will transport your party from West Main Street, East Main Street and South Main Streets to enable your participation in all of the JOLLY town events. All aboard! Sponsored by Gunsmoke Travel Plaza. 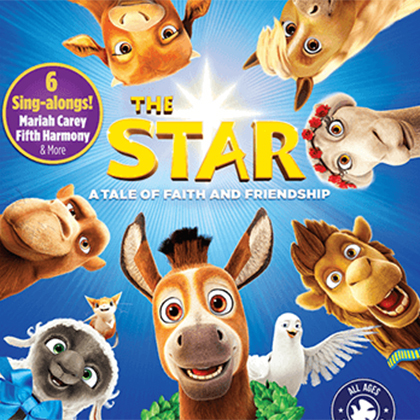 Join sponsors Pinon Real Estate BV and The Fertile Ground Fund for a FREE viewing of the movie The Star, a nativity story. FREE child drop-off available. While the kids enjoy the movie, you can do your Christmas shopping! Held at The Watershed Garage 410 E Main St. Movie is 73 minutes in length. Start your holiday season with the delightful sound of the 9 talented kids of this youth chime time. Listen to the show and then wait for Santa’s arrival. Held at BV Community Center 715 East Main Street. Join in decorating the South Main St. Christmas Tree at the Surf Hotel! 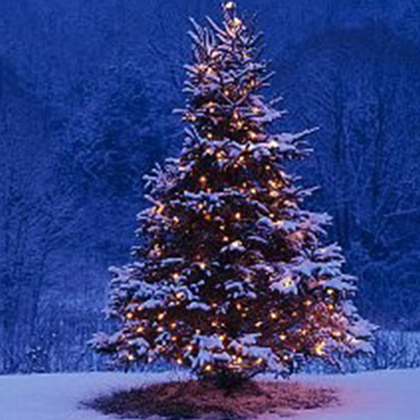 Bring your own ornaments to contribute to the tree or use some of the ones provided at the hotel. Then you can come back during the season and see the ornaments that your family hung! Held at the Surf Hotel 1012 Front Loop. Join Julie and Sarah as they sing traditional holiday carols. 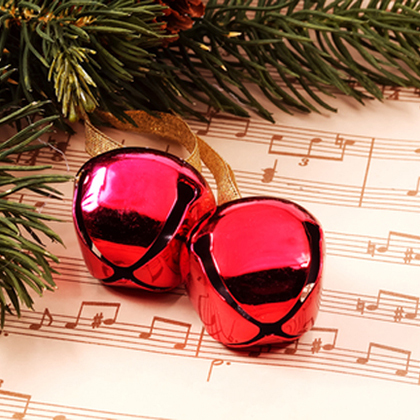 Sing-a-long and savor our small town Holiday joy. Held outside in front of Simple Eatery 402 East Main St.
At The Loft Orpheum Theater 413 E. Main St.
At the Re/Max Annex 429 East Main St.
Vote for your favorite chili created with some of the best recipes from local restaurants and residents. The winner takes home the traveling “Golden Ladle.” A fundraiser for Buena Vista Heritage Museum. 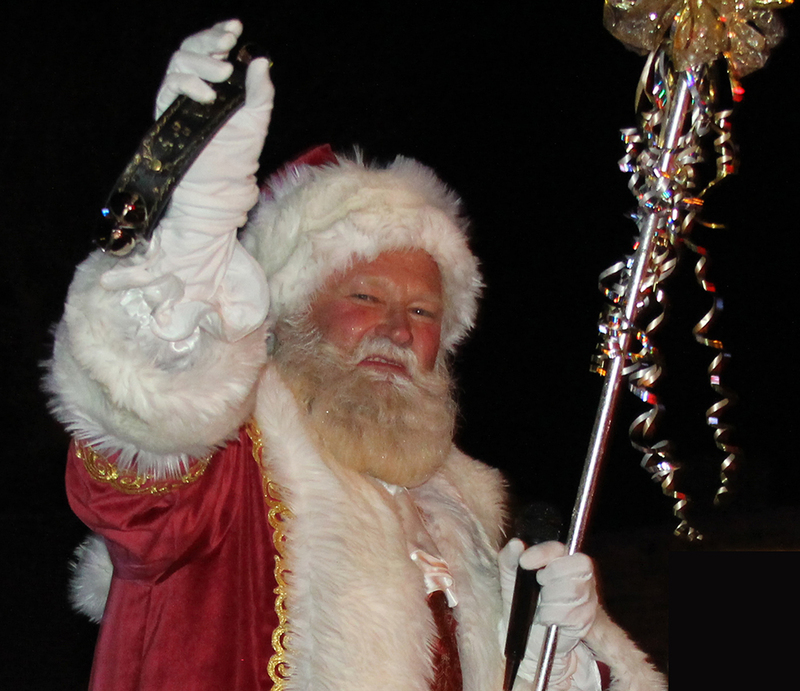 Held at the Buena Vista Heritage Museum 511 E Main St.
Visit Santa – Kelly Kringle Beek with Harmony Workshops – for free along with a free photo sent to you via email or text to your phone. Sponsored by Coldwell Banker/Collegiate Peaks Realty. Held at BV Community Center. 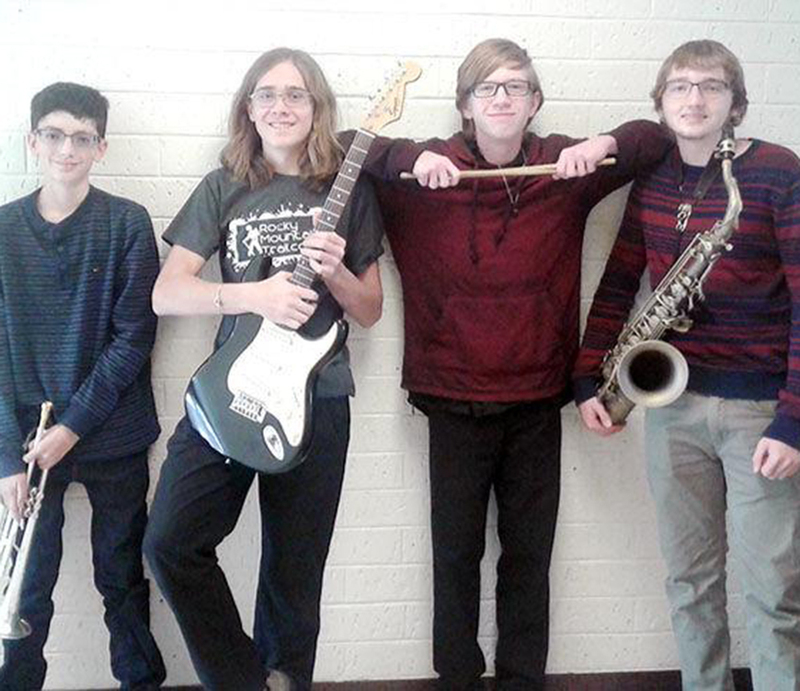 The movie is being sponsored by and shown at The Loft Orpheum Theater 413 E. Main St.
Two talented kids, Finn & Sully, form the base of this guitar, vocal group that shares holiday tunes, carols and more. Held at BV Community Center. 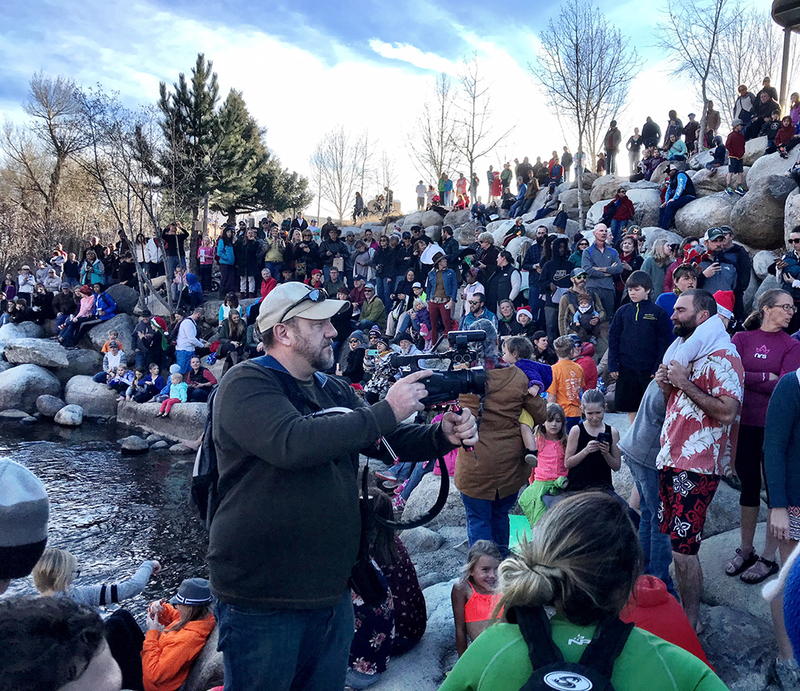 The Polar Plunge Annual River Dip! Join South Main Street’s annual Arkansas River dip. An Invigorating and Fun event if you dare! Sponsored by CKS call them with any questions that you may have. Held at the Beach in South Main St.
After viewing or participating in the Polar Plunge stop in at the Surf Hotel for heartwarming hot cocoa and fixings. 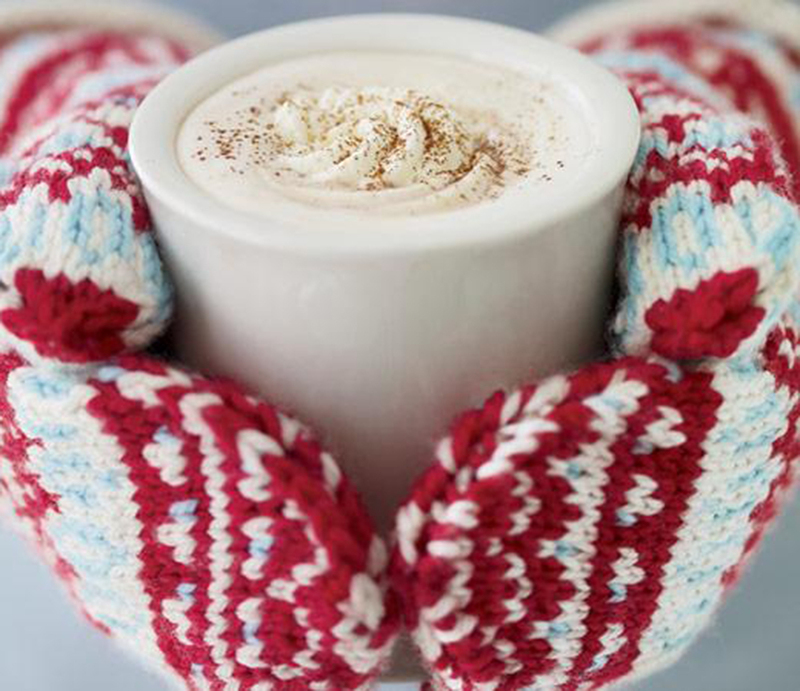 A great way to warm up after the Polar Plunge or before the Parade of Lights which is starting in South Main at 5:15pm. Faith Lutheran Church Carolers are strolling along East Main Street offering holiday cheer and peace on earth and good will to all. Kicking off the festivities to the Surf Hotel Christmas Tree lighting enjoy local live music by our town’s Jazz Band, enjoy hot chocolate and good Christmas cheer. Held at 1012 Front Loop. Share in the lighting of the South Main St. tree and then join the Parade of Lights starting at 5:15 pm at South Main St. heading towards East Main St.
A home town tradition which is open to one and all; businesses, non-profits, churches, schools, neighborhoods, horses and carriages are all welcome to enter the parade with a float, bike or illuminated idea. Parade participants meet and queue at the south parking area in South Main St. and sign a waiver. Parade queue will start at 4:30pm. 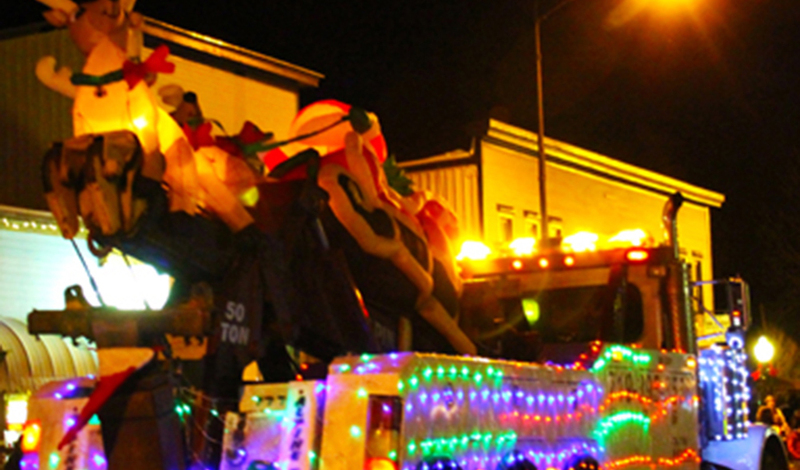 We are encouraging EVERYONE to join or merge with the Parade of Lights as it passes you by as we all then meet at the East Main St. Community Tree Lighting (Optimist Splash Park). Organize your neighborhood, business, street center, church or school or family to join the celebration with your illuminated group. Enjoy visiting South Main St. and East Main St. businesses for dinner, adult beverages, entertainment and festive events. The Lariat will feature Coral Creel. $5.00 cover. Coral Creek is a nationally acclaimed Americana / Newgrass band. Merry Christmas, Happy Hanukkah, Happy Kwanzaa, and Happy Holidays to you and yours. The Christmas Opening unites small businesses, residents and visitors to share in the holiday spirit and celebrate the true essence of community. 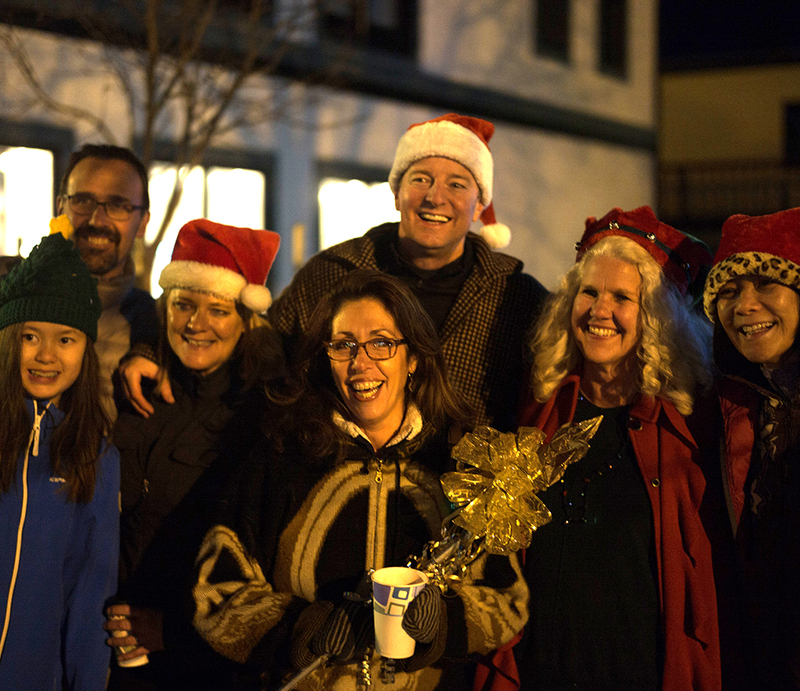 Join us for this small town holiday tradition and experience for yourself why Buena Vista is truly special. Please join us in Parade of Lights . 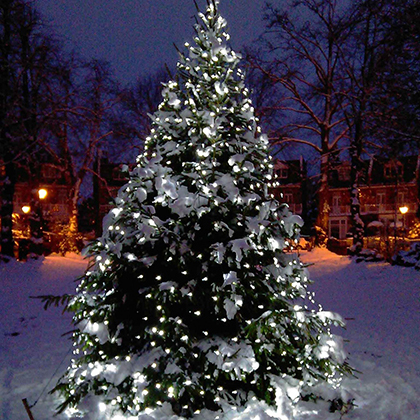 . . we are looking for one and all with their illuminated display to join in the celebration. Meet at the south Main Street south dirt parking lot between 4:00 and 4:445pm. Each parade participant will need to sign a waiver prior to joining the parade – a team will have them on site. Those planning on joining as a group in the walking parade are not required to sign a waiver. 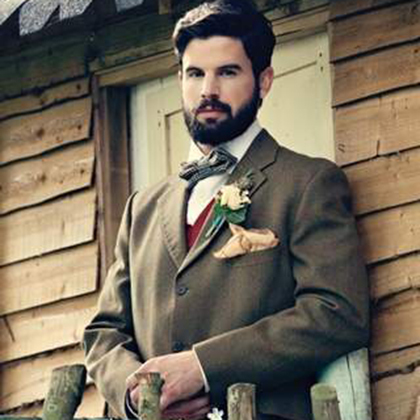 Horses and carriages are welcome! Call us 719.395.6612 if you have questions. The Chocolate Walk is a really fun way to see all of the products and offerings that local businesses bring to our town AND sample chocolates WITH the chance to WIN great prizes! It is simple to do: Pick up your Chocolate Walk playing card at the BV Community Center on December 1 from 9:00 am on. The card will outline the simple rules, share maps to participating businesses and have areas for each business to stamp your card. Next, you return the filled out card to the BV Community Center by 4:30 pm on Dec. 1 or no later than Dec. 3 at the BV Chamber of Commerce & Visitor Center – 343 US Hwy 24 S for drawings and prizes. Drawings will be held December 3, 2018 at 4:30pm. Winners will be announced via Facebook and called. You could win one of these prizes – $75.00 Golden Ticket sponsored by Mary Kale of ReMax, a $70.00 Mt. 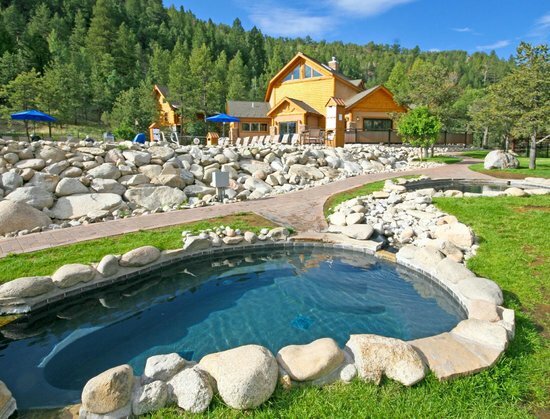 Princeton Hot Springs Pass, $25.00 gift certificate from Rustic Woods, Linch for Two at the Evergreen Cafe and a Midland Stop gift certificate! Please also join in the town festivities and Parade of Lights. Rustic Woods, Christian Science Reading Room, Jeweler’s Bench, Souled Out T-Shirts, Sisters Remembered/Aspen Leaf Printing, The Loft Orpheum Theater, Simple Eatery, Mount Antero Treasures, Fantasy Games & Comics, The Village, Mary Kale/ReMax Annex, & The Heritage Museum. The BV Public Library, The Lake House Jewelry & Gifts, Serendipity Yarn & Gifts, the Book Nook, and the Essential Store. Rock Run Gallery, The Surf Hotel, and Collegiate Commons. The View Cafe/Best Western, Little Daisy, Stedman’s Sweet Shop/BV Shell, Jan’s Restaurant, El Paraiso, Cool Beans, Souled Out Tees, Shear Elegance, Buena Vista Drug, The Jealous Neighbor, Brown Dog Coffee, Pawn All, Missing Sock, & . Sorelles Delicatessen, The View Cafe & Gifts, and Little Daisy Liquor. Stedman’s Sweet Shop (inside Shell Station), Jan’s Restaurant, Sheer Elegance, Cool Beans, Buena Vista Drug, The Jealous Neighbor, Brown Dog Coffee, Pawn All, and Restore. 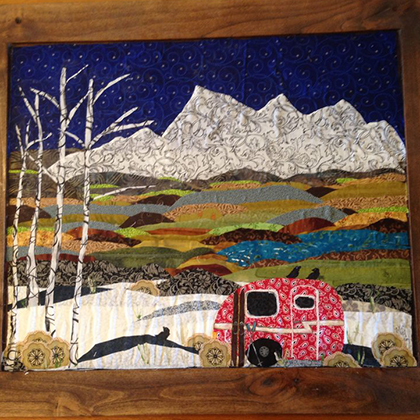 Rustic Woods, Jeweler’s Bench, Souled Out T-Shirts, Mount Antero Treasures, and The Village. The Book Nook, & the Essential Store. Rock Run Gallery, & Midland Stop. Brown Dog Coffee, and Pawn All. 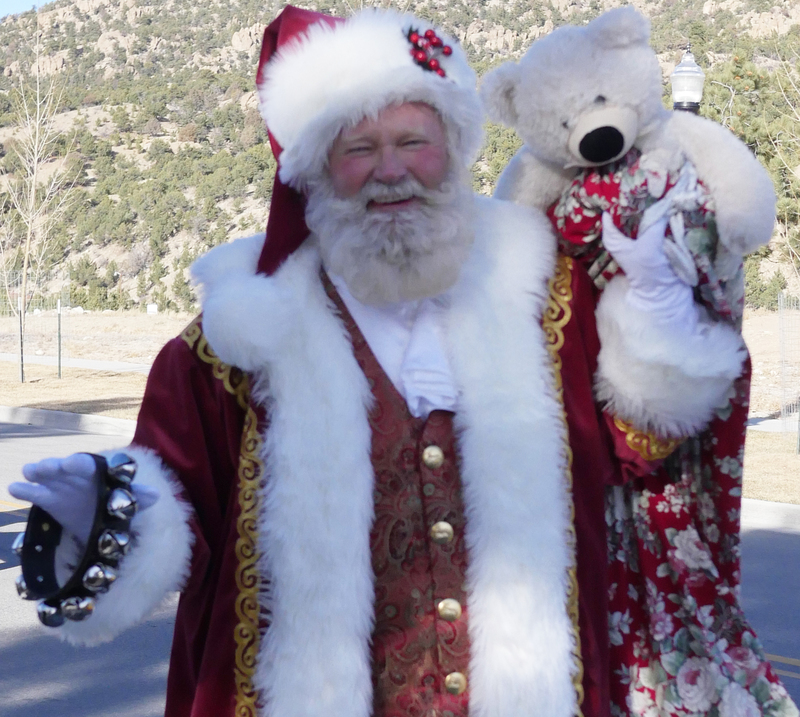 The Buena Vista Christmas Opening is coordinated, advertised and implemented by the Buena Vista Chamber of Commerce & Visitor Center as a community service to our businesses and residents in the true spirit of cultivating our welcoming community. This opening is not a Chamber fund-raising event. We thank our Chamber members, volunteers, Board of Directors and supporting businesses for enabling this town-wide celebration. Enjoy!